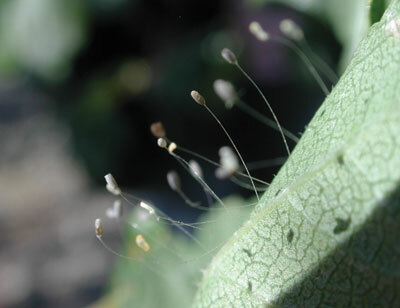 There are several species of aphids that are grouped together as “cereal aphids”. The most common are bird cherry oat aphids (Figure 1) and corn leaf aphids (Figure 2), though English grain aphid and greenbugs can sometimes be found. 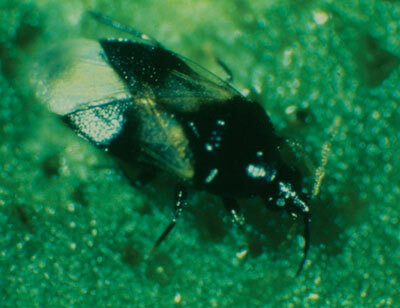 The aphids would have been present since the fall and usually are more prevalent in early planted fields as those plants would have emerged when the adults were flying around looking to find a nice home for their offspring for the winter. 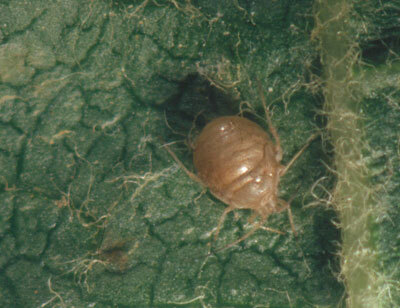 The aphids usually hang out at the base of the plant, either within the whorl or even underground at the base if night temperatures are quite cool. Once temperatures increase and the crop grows taller, they can be found on the stem and leaves of the plant. 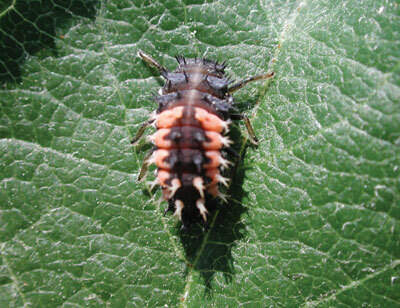 Some predators do take action and help keep aphids populations below threshold. 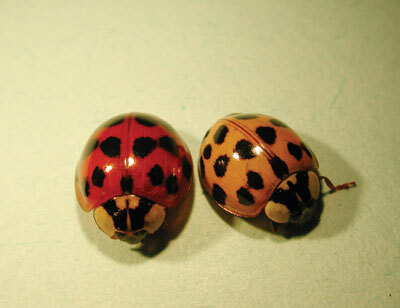 When scouting you may see the odd ladybug which does tell you that there is something there for them to feed on. 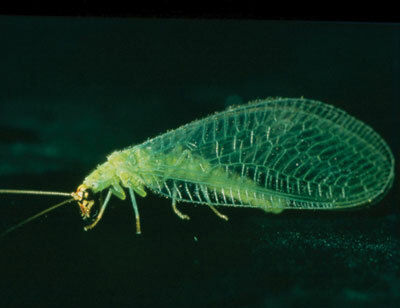 On-farm trials done in Ontario have not found an economic benefit to spraying aphids, though if populations reach an average of 12-15 aphids per plant prior to heading, an insecticide application may be required, though again, this is a rare event in Ontario. Make sure to scout throughout the field when determining the average, since aphids can start in patches and population levels can be overestimated if scouting is only done in these patches. After heading, the threshold is 50 aphids per plant. Malathion 500, Pro Malathion 50, Cygon 480 and Cygon 480 EC are registered for aphids in cereals. Pre-harvest intervals for Malation is 7 days and 21 days for Cygon. Consult product labels for rates and precautions. Beneficial insects do a relatively good job of controlling aphid populations so consideration should be given to how the beneficial insects are dealing with the aphids before applying an insecticide since the registered insecticides will harm the beneficial insects as well. 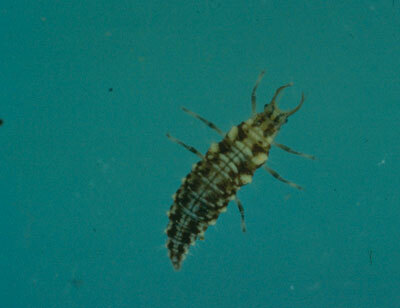 If the numbers are at threshold however, an insecticide treatment may be advisable. The main concern with cereal aphids is that they vector barley yellow dwarf, especially if volunteer wheat was present in the field in the fall when the aphids arrived. 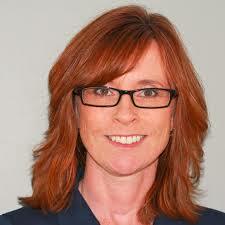 They can pick up the virus from unhealthy plants and vector it into the healthy crop. Applying an insecticide will not reduce the incidence of barely yellow dwarf.